NoThx is an Anti Revoke app that doesn’t let apple detect that you are using modded or tweaked apps on your device, we all know how strict Apple is when it comes to breaching its security, thats why apple keeps a constant check on your device to know if you are using tweaked apps or anything that should not be there in the first place, when those apps are located Apple simply shows you that the Certificate of that particular app has been revoked which makes it useless, NoThx is a dummy VPN which blocks Apple from checking your apps so you can use your favourite modded apps without any problems. 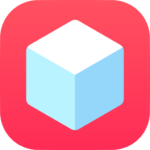 If you’re tired of searching for the apps you want for free on the web because you have to pay to get them from the official Apple App Store then worry no more, TweakBox is the best third party app store that helps you download all your iOS apps for free, this app store not only has apps but you can download, tweaked and modded apps, wallpapers, softwares that can further enhance your device features, jailbreak tools and much more. TweakBox is the next best thing after Cydia and we all know that the device needs to be jailbroken to download Cydia and get its tweaks, TweakBox contains almost all the same tweaks and you don’t need to jailbreak your device to download it on any iOS version you may be running on, make sure you have iOS 9 or above otherwise it won’t run as good. You can download NoThx Anti Revoke app via TweakBox by following the steps below. Launch TweakBox and search for NoThx and hit download. Once again go to Settings >> General Settings >> Device Management >> tap on “ Trust NoThx”. Now you can enjoy all your tweaked apps as they won’t get revoked once you start using NoThx. hi, after I install nothx on my iphone the I can’t install any other app or update my apps from apple store or remove any other app from tweakbox, what I have to do?